Now that I can announce it, here's the good news I've been dying to share! 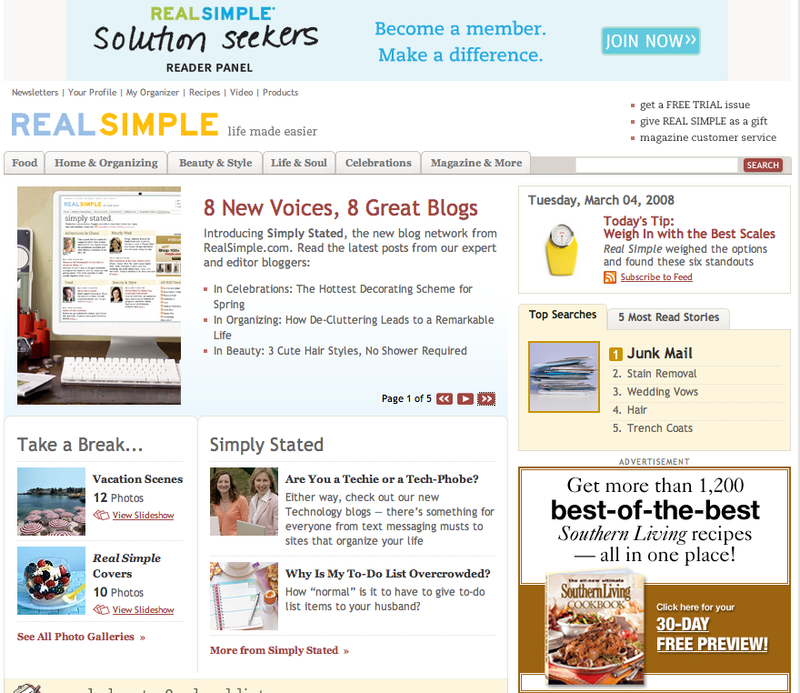 I will now co-author the Home & Organizing section for Real Simple magazine online, which is part of their new blog network called Simply Stated. I'll take on Home and my partner-in-crime Erin Doland, editor of Unclutterer, will tackle Organizing. I'm honored to be part of the Real Simple team and to work alongside Erin, the organization queen. Going forward, you can find my articles on Monday, Wednesday, and Friday mornings right here. I'll still be blogging daily on decor8 but welcome your company over at Real Simple, too! To subscribe to future posts over at Simply Stated through the RSS feed, click here.